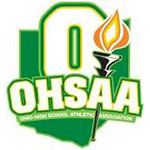 10/24 OHSAA Cross Country Districts – MidwestAthleticConference.com – The Official Site of the Midwest Athletic Conference for mac news, mac scores and more. Four (4) teams in each race and those individuals not on a qualifying team who finish in the top sixteen (16) positions will advance to the Regional Tournament in Tiffin. Top six teams and those individuals that finish in the top 24 advance to the regional tournament at Troy.